Do you remember the old animated cartoons with Winnie the Pooh and Yogi Bear going to extremes to collect pure, sweet honey? Luckily, in real life, we are now blessed with easy, simple methods to extract surplus honey for our own use. 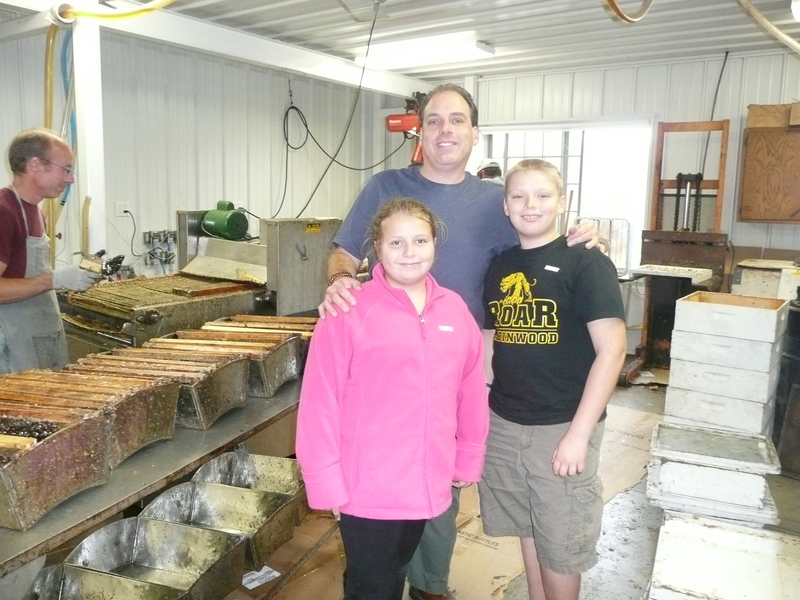 This fall, I had the privilege of being part of an exclusive tour at Eugene Woller’s Gentle Breeze Honey facility in Mount Horeb with my two children. Though I had minimal knowledge of honey varieties, the assorted products sold, or the differences in quality between brands, being given the opportunity to spend some time there helped me understand more about the wonderful, sweet world of honey and the role honey bees play in creating it. 4) The Queen’s bee’s main job is hive morale. 5) Being a human “worker drone” in a honey facility is sticky business! 6) The sweet aroma permeating the facility is intoxicating. 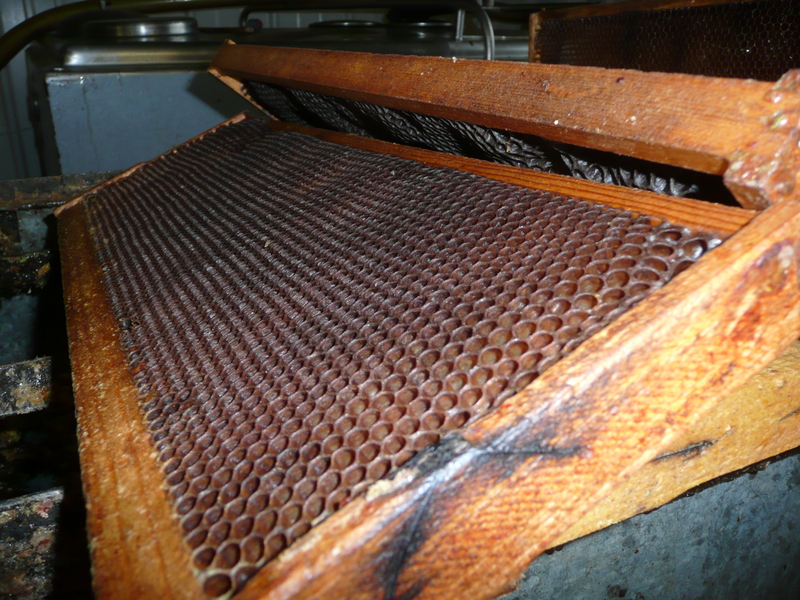 7) The floor heated hot room where honey frames are stored prior to extraction is kept at 80 degrees. 8) When honey spills, it is a quiet “disaster.” You can spill a whole 55 gallon barrel and never know it until it’s too late. 9) Wet honey is slippery. Dry honey is sticky. Water is the perfect solvent to clean up both. 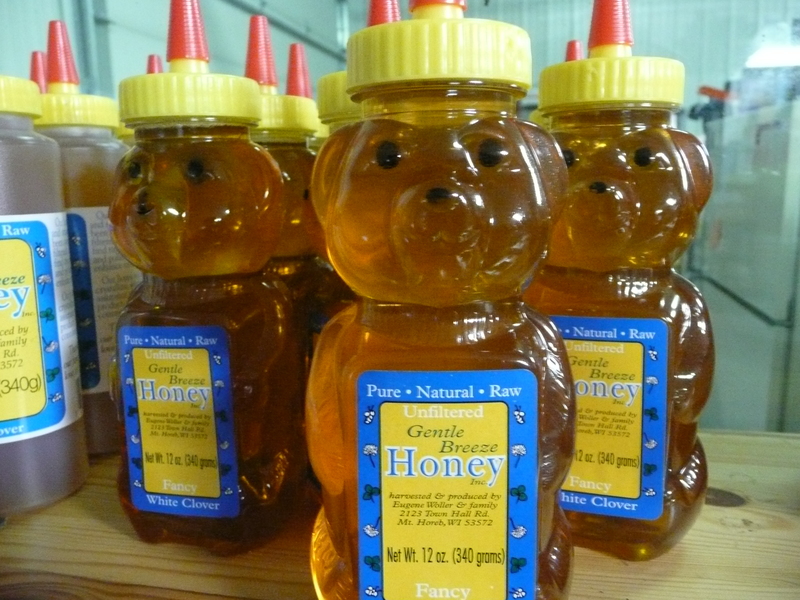 10) Pure, raw, unfiltered Gentle Breeze Honey has a fantastic taste and is of super high quality! So, the next time you drizzle honey over oatmeal, slather it on toast, bake it into breads, or need the ambiance of a flickering beeswax candle, take a moment to remember your local apiarist first. His “worker bees” strive for perfection when it comes to honey production. Taste some and see just how sweet it is!